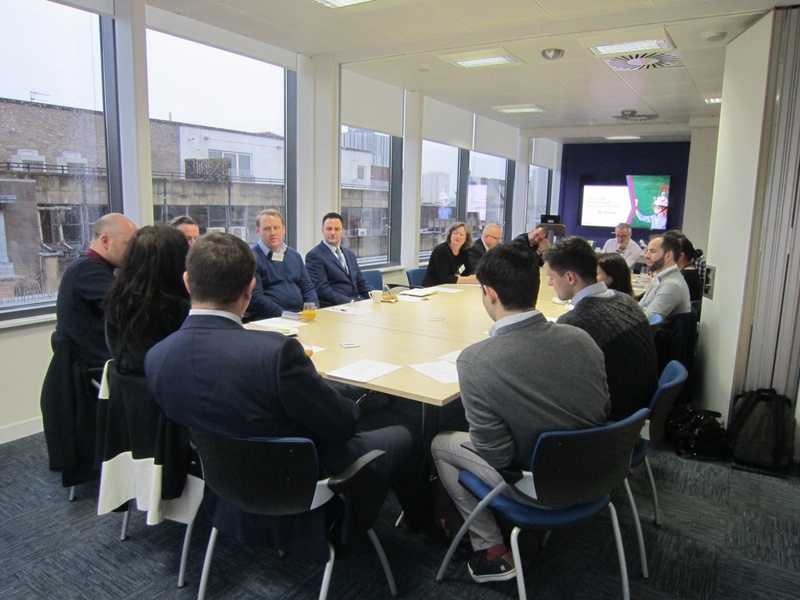 Nine Twenty Group Client Engagement Manager Chris Lowden has recently launched a networking event in association with Adrian Smith of HBJ Gateley. Adrian has run his own BD Xchange event for over a year now and after attending the event, Chris was keen to work closely with Adrian to replicate the successful formula but with a focus on the technology industry. Currently, Adrian hosts a number of business development events focusing on topics including Life Sciences, Decommissioning, Health and Food & Drink industries. Out of this original idea, the Technology Xchange event was born and has already seen five successful meet ups. The latest event took place on Tuesday 7th February with guest speaker Phil Worms who was on hand to tell the group about his most recent project, Digital Xtra Fund. 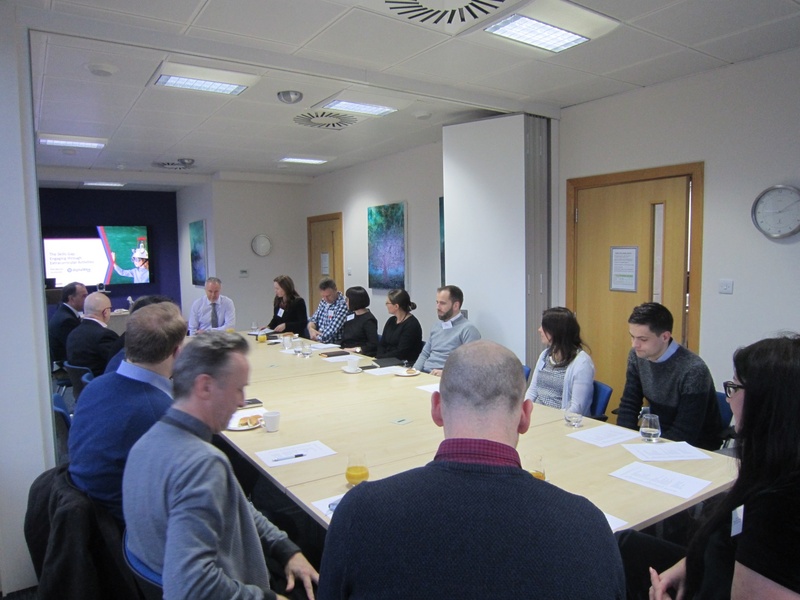 During his presentation, Phil educated attendees on a number of astonishing statistics about the current state of play for the Technology sector in Scotland. Did you know, for example, this industry requires 11,000 new entrants every year to keep up with digital demands and 83% of employers want to grow their Technology staff function in the next 12 months. Scotland is a definitely a hub of activity with Glasgow rated as #1 for Fintech industry expertise, Dundee has the highest turnover in growth at 129% and Edinburgh currently pays the 3rd highest salaries for Technology candidates in the UK. Phil is the leader of the Digital Xtra Fund programme, an initiative set up by Scotland IS and its partners to provide funding intended to support enterprising organisations giving young people opportunities to learn computer science related digital skills. 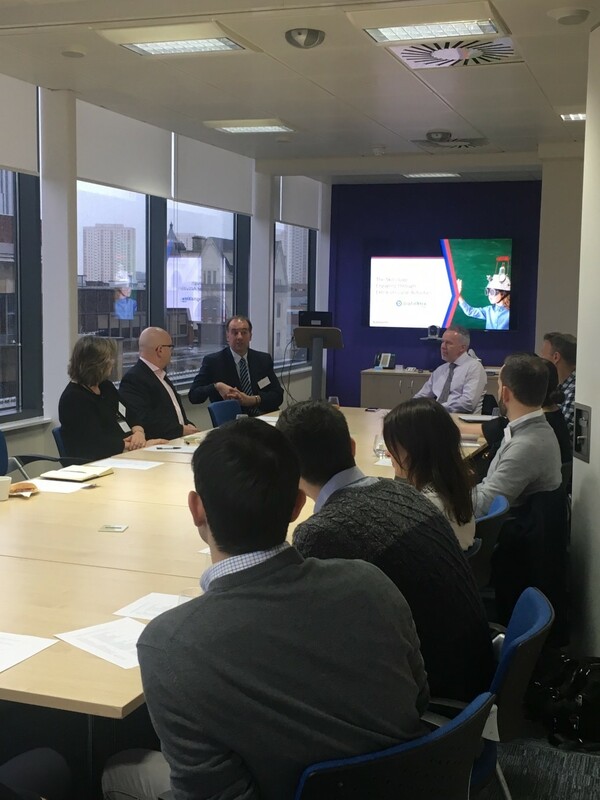 You can read more about past and current projects here but it would be more than fair to say that all the attendees were genuinely interested to find out more with some even considering ways to incorporate the scheme into their own CSR policies. How can this meet up help me? "One of the main reasons I put this event together with Adrian was because in my role as Client Engagement Manager at Nine Twenty I speak to senior contacts every day and I was continually seeing areas where I could link my connections up in order to help their businesses continue to grow. My biggest network is within the Tech SME sector in Scotland and by bringing a varied cross section of my contacts together on a regular basis, we have built up a safe space where people can connect, learn about like-minded business people and gain an understanding of what products and services are out in the marketplace that might benefit their business." If you would like to attend an upcoming Technology Xchange meeting, have an interest in presenting or are simply keen to find out more, you can get in touch with Chris Lowden directly by emailing clowden@weareninetwenty.com or calling 07824 345 749. If you want to find out more about Digital Xtra Fund, you can check out their website here.